Who is black and gold and sparkly all over? This adorable plush owl, that's who! 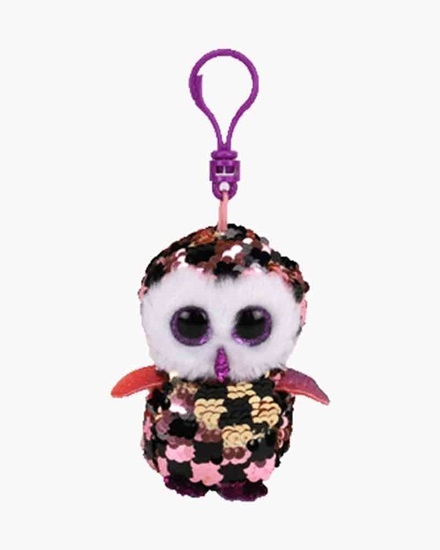 And with the brush of your hand across his reversible sequins, you can transform the checkered feathers of this wise, medium-size stuffed animal from black-and-gold to black-and-pink. Checks is approximatley 3.5 inches tall and s perfect for ages 3 and up.